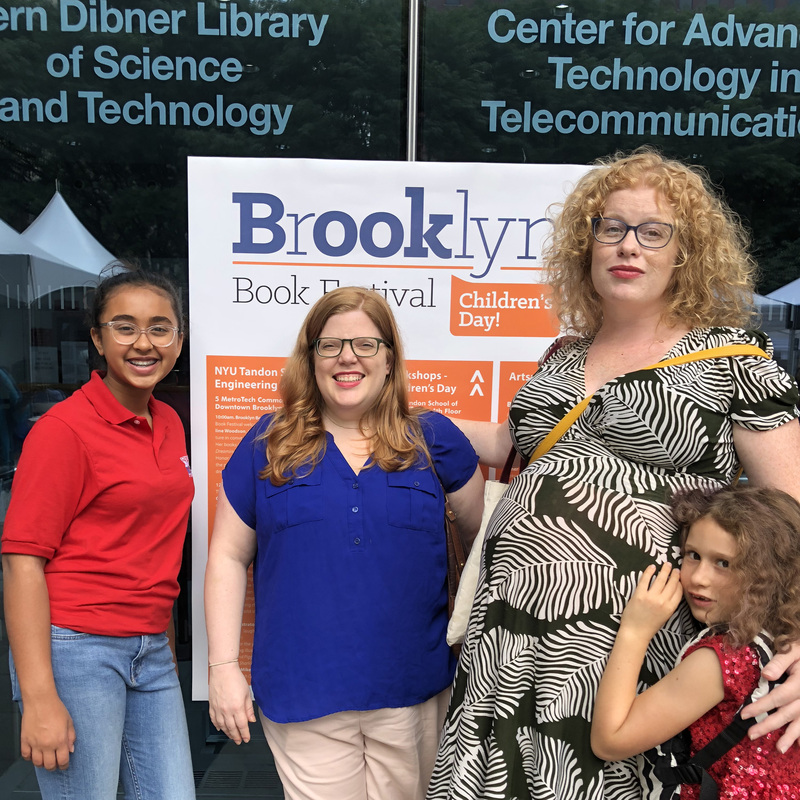 A Visit to the Brooklyn Book Festival | Kid Reporters' Notebook | Scholastic Inc.
On a recent Saturday in Brooklyn, New York, streets were lined with booths for the borough’s annual book festival. Young visitors could meet local authors, do arts and crafts activities, and pore over lots of books. This is the Brooklyn Book Festival’s thirteenth year. During my visit, Meg Lemke and Jenne Abramowitz, members of the Children’s and YA (young adult) Planning Committee, explained what the event meant to them. During a panel entitled “Coming of Age,” authors Kheryn Callendar, Veera Hiranandani, Meg Medina, and moderator Brigit Young discussed their favorite coming-of-age stories. Callendar cited the Harry Potter series. Medina said that she loved Charlotte’s Web as a child, and Hiranandani said that her favorite book was Charlie and the Chocolate Factory. * Sayantani DasGupta is the author’s mother.